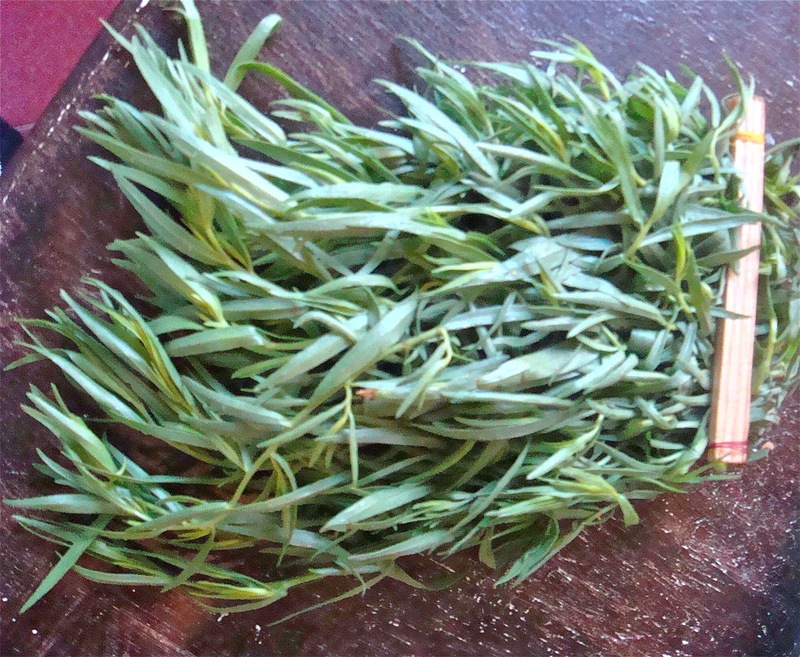 Isn't this tarragon ABSOLUTELY gorgeous? The scent is even better than its leafy green good looks. And, as superb as both of those qualities are, they aren't even my favorite part of this little bundle. Nope. The best part? Look at the clever lack of rubber bands and twist ties. Instead the herbs are bundled with little pieces of wood and some thread. All throughout the produce markets and even in the larger grocery stores of Tbilisi, produce is bundled with vines, little bits of wood and some simple strings. Smart. Now, I'd suggest you go get yourself a green apple, a bunch of your own fresh tarragon, a lemon, a handful of walnuts and a teaspoon of your favorite mayonnaise. Have some salt and pepper on hand as well and check back here tomorrow. I'll post a simple amuse bouche featuring this gorgeous tarragon! Categorized: feast: veggie., feast. acrutement. I love tarragon! I'm buying ingredients and looking for your next post!